MANILA, Philippines - The seven members of K-pop boy band Block B, which debuted in 2011, have sued their agency, Stardom Entertainment, to annul their exclusive contracts, accusing the company of not paying their income. 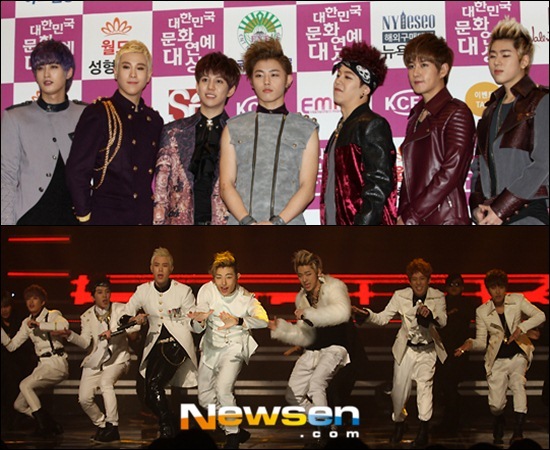 Block B claimed that Stardom failed to give them their earnings from appearances in the past year. In addition, the members alleged that Stardom's CEO, a certain Mr. Lee, collected 70 million won P2.68 million) from their parents and ran away with the money. The money was supposedly be used for promotion. "Our contract states that the agency should provide us with fitting chances of education as well as locations, and that on the 25th of every month it should balance our profits and pay us what is due. For about a year from April 2011, however, the agency did not make the payments," said Block B, according to entertainment site ENews World. These payments include fees from original soundtrack participation and fan club inauguration. Stardom, which was established by Korean rapper and record producer Cho PD, denied the charges. "They were paid in full. The exclusive contract states that when profit should occur then it should be distributed every month on the 25th, but from the group′s debut on April 2011 to October of the same year, there was no profit, so we couldn′t make the payments," ENewsWorld quoted Stardom as saying. It added that the change in the frequency of payments was approved by Block B's parents. Stardom also washed its hands of the CEO who ran away with the 70 million won. The agency claimed the man was hired as a manager but pretended to be the CEO. "A man whom we had hired as a manager pretended to be the head of Stardom Entertainment, forged nameplates, swindled money from a few members and then went into hiding. We learned of this later on, but we had hesitated on taking legal measures in case it would bring harm to Block B," the agency added. Through their lawyers, Block B denied the statement of Stardom. "The Block B members took a long time thinking about their decision to nullify their contract and file for an injunction. We would like to let you know that the choice was unavoidable. Stardom currently states that they have straightened out all the profit [issues] as if there was a mutual agreement about the balance distribution calculation, but this is false. The actual truth will all be revealed in court," said the law firm, according to Allkpop.com. It added, "The explanation that Stardom gave about the previous CEO, Mr. Lee, is also false, and they are just trying to deny responsibility. Stardom has explicitly and implicitly agreed to use the title of CEO for Mr. Lee from the start."